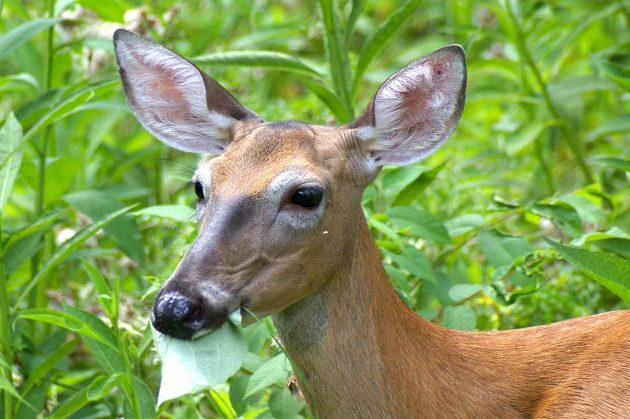 White-tailed deer don’t like to eat the invasive plants Japanese stilt grass, garlic mustard or barberry. Native oak seedlings and tulip poplar, on the other hand, deer love. 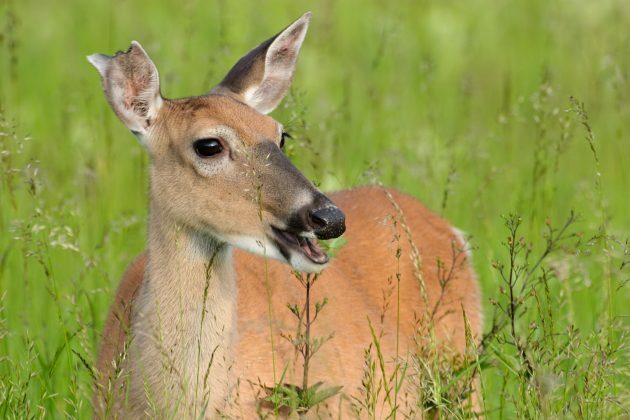 As deer find some invasive species unappetizing, they indirectly promote their success. The eating preferences of the hordes of white-tailed deer now living in the eastern United States is gradually altering the traditional composition of plant species in its forests, lowering the diversity of native plants while giving a boost to invasive populations. These are the findings of a new paper published in the online journal AoB Plants, pooling data from studies conducted at 23 white-tailed deer research sites spread across the east-central and the northeastern United States. In the study, scientists analyzed raw data from individual long-term research sites that had multiple pairs of fenced and unfenced plots, where deer were excluded from the fenced plots. Plant communities where deer were excluded were compared with communities where they had open access. The study was conducted by scientists from Pennsylvania State University, Cornell University, the Smithsonian Conservation Biology Institute, the Smithsonian Environmental Research Center, Hood College, the University of Tennessee and others research organizations. “Overall, deer reduce community diversity, lowering native plant richness and abundance and benefiting certain invasive plants, showing that deer have a pervasive impact on forest understory plant communities across broad swaths of the eastern U.S.,” says Kristine Averill, a research associate in Cornell’s Section of Soil and Crop Sciences who is lead author of the study. By altering the balance of native plants in favor of invasive ons, deer are changing forest plant ecology. In the future invasive plants could have a bigger influence on the forest ecosystem and leave fewer opportunities for native animals that depend on the native plants. Such changes in plant community structures also have long-term impacts on forest regeneration, Averill says. 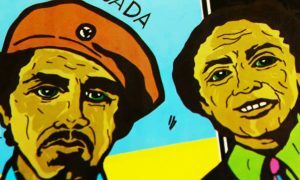 What do scientists say to do? Try to limit the number of deer to help native plants thrive. 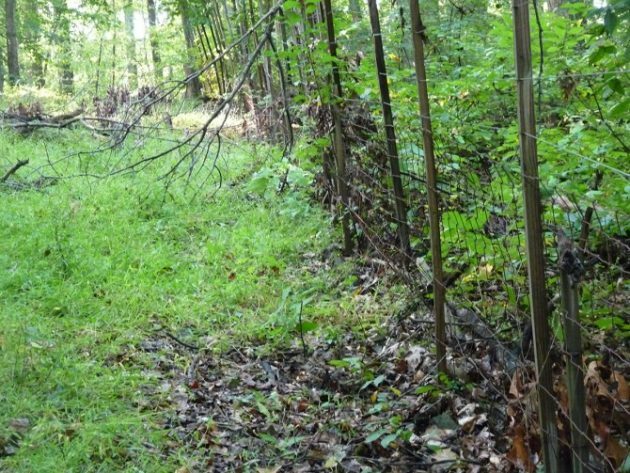 “The study results suggest we should try to maintain lower deer densities through hunting and fencing if the goals are to support more native plants and foster a reduced relative abundance of introduced plants,” Averill says. Native oaks are already under stress because conditions they need for regeneration are not there, McShea says. The researchers were surprised to learn that the diversity of invasive species—the total number of non-native species—and the total abundance (or land cover) of invasive plants stayed the same in areas where deer grazed and where they were excluded, Averill says. This new study deepens ecological understanding of some key factors in the invasion process. In this work, an abundant, native, large herbivore is shown to alter plant community composition, lower diversity, reduce native plant richness and abundance, and increase the relative cover of introduced plants.